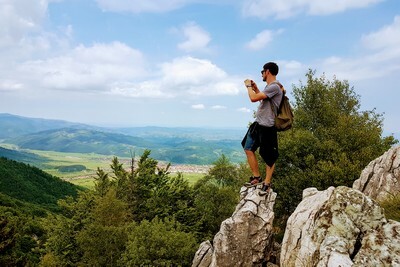 We will set the base camp in Bran, a scenic little town on the edge of two National Parks in the Carpathian Mountains, a perfect location for day walks. You will love your walks more with light 1 day backpacks, and enjoy your evenings in a comfortable room with private bathroom and hot shower. Check in at our “base camp” lodge in Bran. A short walk to explore the area in the evening. We will spend 6 nights at this lodge so you don’t have to pack and unpack every day. Drive to the head of the trail, in the Zarnesti Gorges. We start gently through a narrow lime stone canyon, a former cave who’s ceiling collapsed millions of years ago forming this spectacular Zarnesti Gorges. After about 3 hours we arrive to Curmatura chalet. Enjoy hearty lunch on the chalet’s terrace, surrounded by jagged peaks, and fairy tale meadows. 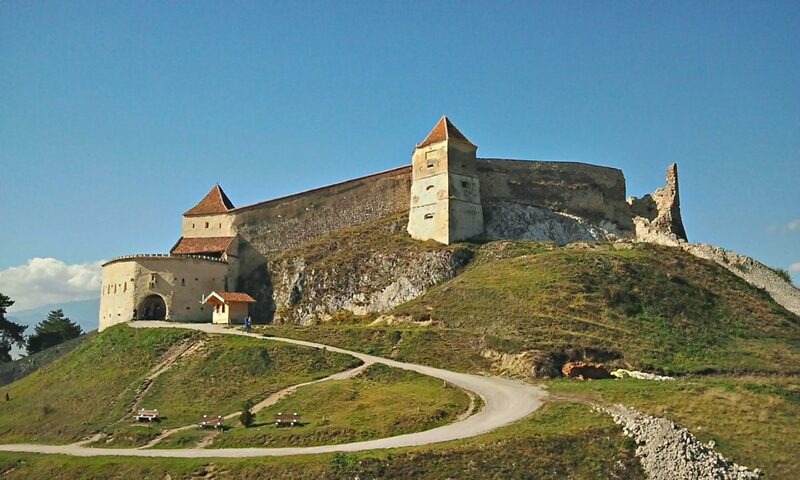 The fortress was enlarged by the villagers of Rasnov and it became a small walled city protecting the villagers from the invaders. The villagers had to build an impressive 480 feet deep well, to get the vital water needed during prolonged sieges, weeks or months long. The construction took 17 years of hard labor, under precarious conditions. A 3 hours round trip to Magura, one of the most the picturesque villages on Romania. Traditional houses, scattered on superb green hills, wild flowers, and the tranquil sound of cow bells, all gathered in the most stunning mountainous landscape. 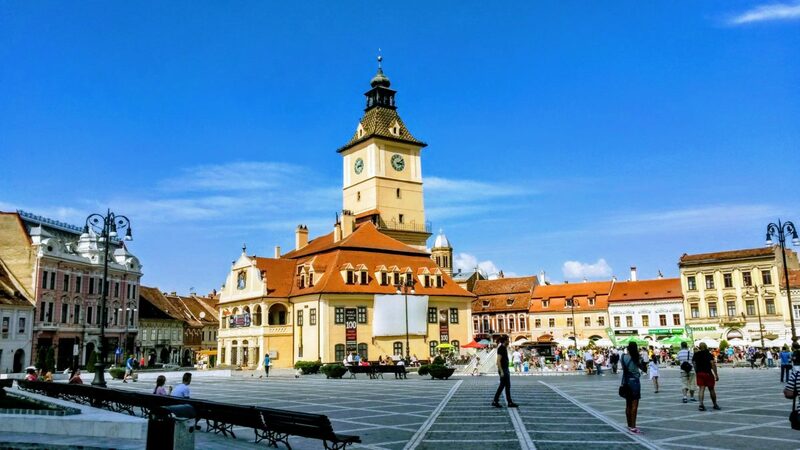 Discover visit the medieval city of Brasov. 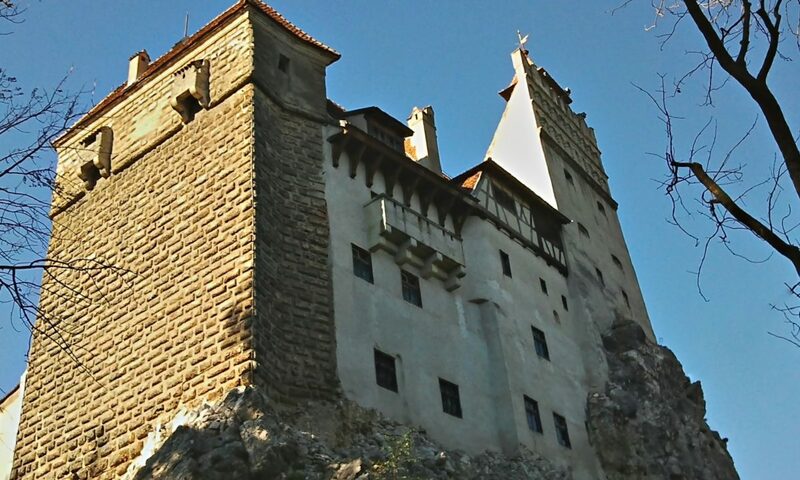 As a young fugitive prince, Dracula spent several years in Brasov, an important community who’s support was crucial to his return on the throne of the neighboring country, Wallachia (at that time Wallachia and Transylvania were separate countries) Enjoy a guided walk through this 13th century Saxon city. The main highlight is the Council Square, the Gothic Black Church – blackened by a fire more than 300 year ago – and the “Rope Street” – one of the narrowest streets in Europe. Outside of the city walls we get to the Black Tower for an amazing panorama over the old Brasov. 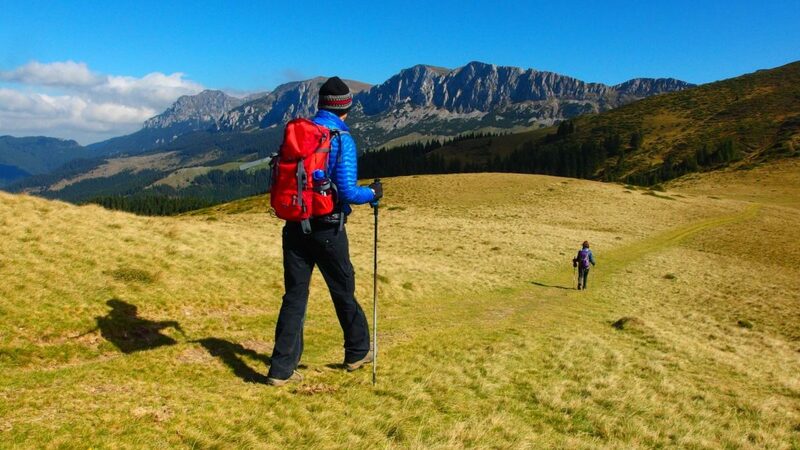 Hike the Mount Tampa – a 2.5 hours trail starting from the historic center of Brasov. At the top you will get an amazing view over the medieval town 200 meters bellow your feet. In the morning we visit the LiBearty bear sanctuary in Zarnesti. A place where brown bears were rescued from improper zoos and circuses. Here the bears have a second chance to a normal life, living in almost complete wilderness. The village of Fundata, is the highest locality in Romania at 1300 meters elevation, and boasts some of the best scenery in the country. We will take a 4 hours round trip to Fundata, Depending on the date of your trip you may encounter the villagers doing their hay on the steep slopes of the mountain, or logging in the woods. What a fantastic vacation! The housing, food, schedule, and the atmosphere of quaint Romanian villages made this a vacation to remember. The hikes were varied, fun, and filled with lots of interesting and historical sights. Dan and Nicole are some of the best guides/hosts anywhere, as well as being wonderful people! I will be back again and advise my friends of this truly unique vacation opportunity!